How Many Other Animals Live in Antarctica Besides Seals and Penguins and Why? Under the icy waters of Antarctica are huge numbers of whales, but up on the surface, few things are hardy enough to spend much time on the frozen land. Even regional plants would likely prefer to live somewhere else, vegetation on Antarctica is limited to about 350 species of mosses, algae, and lichens. Oh, yeah, mites and ticks also manage to survive there, as they seem to about everywhere else, relying on their hosts’ body heat as much as their blood. No land-based animals live in Antarctica at all, however. Six species of seals, notably the crab-eater, elephant, and leopard, emerge from the water once a year to breed, the land might be cold, but it’s predator-free. 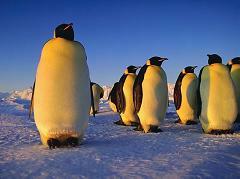 Only twelve species of birds live there, of which six are various types of penguins. It is the nesting place of the wandering albatross, which has the distinction of having the longest wingspan of all birds, about eleven feet from tip to tip. The remaining six species are gull-like seabirds, most notably the skua and the arctic tern, which divide their time between the two polar regions. What Types of Plants or Animals Live In Antarctica and Do Any Insects Live In Antarctica? How Did Antarctica Get Its Name, What Does Antarctica Mean In Greek, and Is Antarctica a Country? How Many People Live In Antarctica and How Many Scientific Research Stations Are There In Antarctica?